This will be a easy, cheesy review much like the movie!!! And when I say “Easy Cheesy” I mean that in a light hearted fun for all way! When we left the theater I asked Matt what he though of the movie and he said “I loved it, I was really into the story line, I laughed and I even teared up” I thought he was pulling my chain because he never says anything more than “it was good” but he was for real! He said he knows how much I love movies and is going to give me more input, I enjoy talking about the movie when it is over! So the point of that story was Matt enjoyed it as much as I did. The story line goes Ryan Reynolds hates his evil boss Sandra and then she finds out she will be deported and blackmails Ryan’s character into marrying her. The movie is very predictable but what romantic comedy isn’t? Sandra & Ryan have wonderful chemistry and between her evil glances and Ryan’s understated facial expressions they add alot to the movie! It does get a tad silly at times but you can’t help but laugh! 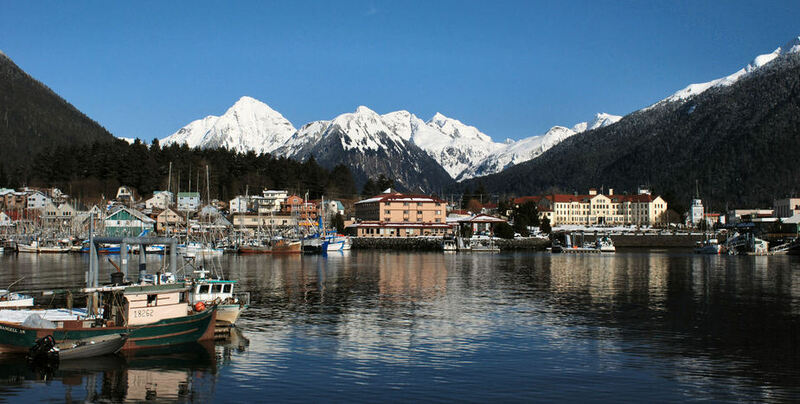 Below is a picture of Sitka Alaska where it is filmed and the scenery is amazing and it almost makes me want to pack up and move! ha! Overall if you are looking for a fun summer movie to see on a date or with the family I recommend this!!!! !